Every monopolist will suggest they have done nothing wrong and will argue that they have the best interests of competitors and consumers at heart. In that way, Apple’s response to our complaint before the European Commission is not new and is entirely in line with our expectations. Spotify’s positioning of Apple as a monopolist bring fighting words to the Apple/Spotify drama. The accusation that Apple has a monopoly over their own App Store will certainly add fuel to the heated battle between the two companies. In Spotify’s view, Apple is hurting consumers by taking a cut of all App sales, in-app purchases, and subscriptions. They also feel that Apple’s limitation in how third parties can promote external payment options results in diminished competition. Apple’s remarks from last week suggest that they feel they are providing a service to their customers and third parties by offering a centralized platform for purchases, as well as providing attention and promotion of apps and services from a wide range of third party developers. 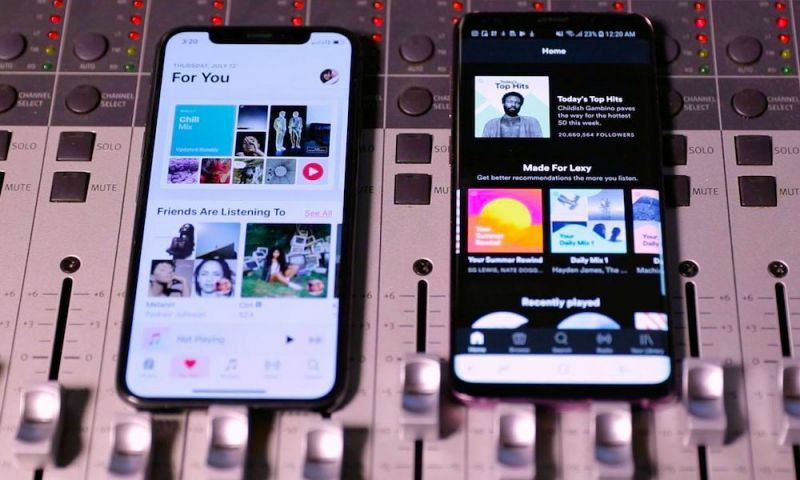 This is evident in Apple’s belief that Spotify’s users on iOS are Apple customers and not Spotify customers, which goes to the very heart of the issue with Apple. In all App Store purchases and subscriptions, Apple takes a 30% cut of the transaction. According to Apple, this covers their share of facilitating financial transactions as well as providing the framework for discovery and promotion within the App Store. For Spotify, losing 30% of their earnings from iOS subscribers could boil down to a massive sum. The accusation that these customers aren’t really Spotify customers is a bit of a gray area. All Spotify users require accounts on the service, which the company can use to gain valuable insights on. The battle between the two companies will likely continue for the foreseeable future, as both rely on each other for their success. For Spotify to continue to find success, they need to reach iOS users through Apple’s App Store. For Spotify users on iOS devices to remain loyal to the platform, they need count on Spotify to stay on the Apple’s products. Where the story ends remains a mystery. For now, the playground fighting has us all watching carefully.